You are here: Home / FICO Scores / What Makes Up My FICO Score? 1. Payment history evaluates whether or not you’ve paid all your bills on time and for how long. Sources say that payment history accounts for 35 percent of your score. So if you have any late payments recorded in the 30 + days late category, your credit score will reflect that. The longer the credit history and the longer history of on-time payments, the better the FICO score will be. On-time payments of at least 24 months from at least four creditors are optimal. Home loans, car loans, and major credit cards are the best. Store credit cards and gas credit cards are secondary. Consider closing your miscellaneous store and gas credit cards and make use of a Visa or Mastercard. Store and gas cards might affect your credit negatively if they’re too new and if they give you too much available credit. The more credit you have available, the more debt you can acquire. 2. Money owed accounts for 30 percent of your FICO score. Debt-to-credit ratio is ascertained by adding all current outstanding debt balances and dividing that by the available credit. The FICO system doesn’t like you being maxed out. The FICO system wants you to owe less than 50 percent of your available credit – on each card. Keep all your credit cards under 50 percent of its max. Never pay off a credit card prior to applying for a home loan – it won’t make any difference on your FICO score. 3. Length of credit history accounts for 15 percent of your FICO score. This is the amount of time you’ve had the credit lines. The FICO system likes at least 24 months of good, on-time history with each credit line. Home lenders like to know you can pay off debt over time. Note: you won’t get a credit score unless you’ve had at least 6 months of activity on a credit line. It’s better to have a few lines of credit for 12+ months than it is to have many lines of credit for 6 months. 4. New credit lines accounts for 10 percent of your FICO score. 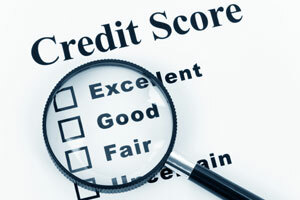 Attempts of acquiring new credit lines negatively affects the FICO score. Hold off on using credit for any major purchases and obtaining any new credit 6 months prior to applying for a home loan. 5. The type of credit you use accounts for up to 10 percent of your FICO score. A good responsible mix is important here. Remember, you’re convincing a system, not a person, so you’ve got to give the system what it likes and withhold what the system doesn’t like.